Apple sold 10 million iPhone 6 and iPhone 6 Plus this weekend, breaking even more records for the company responsible for the world’s most popular smartphone (year after year). The one thing we’re hearing? Both of the new iPhones are reportedly as slippery– and fragile- as ever. Good thing we’ve got the perfect solution for getting a better grip on the largest and sleekest phones by Apple yet: Our CandyShell Grip, which features raised rubber ridges for extra hold. 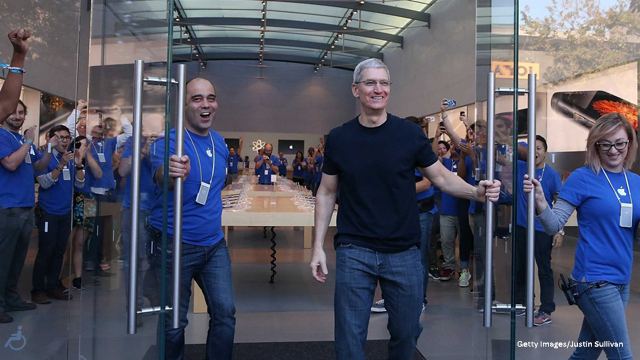 Don’t wait to protect your device like the first guy to show off his new iPhone 6 in Perth, Australia (watch below). Arm your iPhone 6 and iPhone 6 Plus in #SlimmerThanSlimmer military-grade protection with Speck today!